As rare as exceptional, the white Alba truffle has a rich aroma that turns out to be very different from that of the black truffle. Regno degli Ulivi has infused white Alba truffles in its olive oil to give birth to this olive oil flavored with white Alba truffle that will bring flavors to your dishes worthy of a great cuisine. 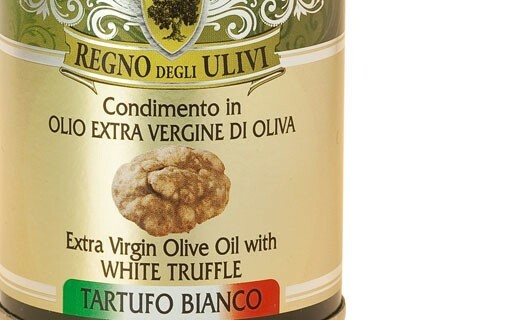 The incomparable finesse of the white Alba truffle will give your recipes a unique and refined side. 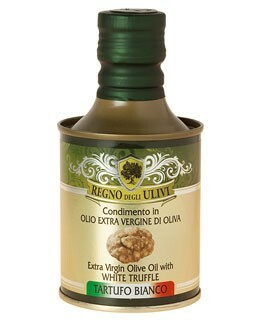 It will accompany you every day to cook and season your dishes.